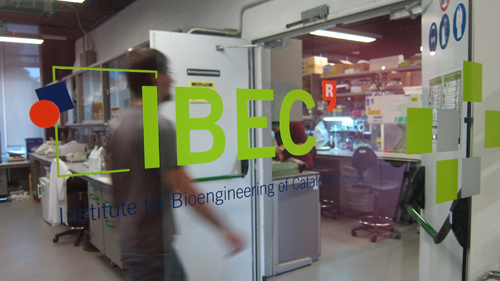 The Institute for Bioengineering of Catalonia (IBEC) has signed an agreement for an initial investment round of one and a half million euros with Scranton Entreprises B.V. -an investment association headquartered in the Netherlands-, with the aim of developing technology that predicts the probability of implantation of embryos obtained through in vitro fertilization. This agreement is the first to be established within the framework of the institute’s new initiative, the Open Innovation Lab, that offers companies and investors a platform to bring the cutting-edge research to patients and to the market faster. The first unit of IBEC’s Open Innovation Lab is “Bioengeneering in reproductive health” led by Dr. Samuel Ojosnegros, that is developing image and genomic technology that allows to choose those embryons that will be more fitted for implantation. This type of selection is currently carried out by criteria that are still too subjective, therefore, this technology aims to provide modern tools to doctors and embryologists to increase the success rate of assisted reproduction. The Open Innovation Lab offers a co-working laboratory and office space for enterprises and investors who want to develop high potential research projects that are clearly market-oriented. “This initiative aims to allow investors and companies to participate directly in IBEC’s research units that are exclusively focused on reaching faster both patients and the market, while maximizing capital efficiency” says Xavier Rubies, Head of the Technology Transfer Department at IBEC. “The Open Innovation Lab units will benefit from the knowledge and scientific habitat of IBEC, as well as its high-tech facilities and its national and international networks and strategic alliances with hospitals and industrial partners, at the same time that they are driven by external investment to bring their solutions, products or health-related devices to society more quickly. This IBEC ‘s new initiative is inspired by the new wave of ‘innovative ecosystems’ introduced by Princeton y Norway, among others. The Open Innovation Lab is one of the most important initiatives of the new Strategic Plan of IBEC. “This initiative fully aligned with the mission of fostering transfer, collaboration and entrepreneurship by supporting high-potential projects that are in the early stages and transfering the results of research more quickly to society, ” says Josep Samitier, director of IBEC.